PCIT implementation in Norway started in 2001. Since then, Anne Kristine Wormdal was trained by Cheryl McNeil and Åse Bjørseth by Sheila Eyberg. They stared using PCIT in their clinics and they started training others. Great efforts have since been made to translate all materials needed for therapy and training, to evaluate assessment instruments (DPICS) and therapy, and to train PCIT therapists. So far, almost 50 trainees have attended PCIT workshops in Norway. the Treatment of Young Children‘s Behavior Problems. A Randomized Controlled Study. Discriminative Components. 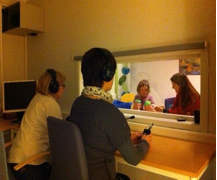 Child & Family Behavior Therapy, 37(1), 20-37.
påøret. Tidsskrift for Norsk Psykologforening, Vol 42, nummer 8, 2005, 693-699.